LOCATION.--Lat 42°22'37", long 74°24'47" referenced to North American Datum of 1983, Schoharie County, NY, Hydrologic Unit 02020005, on right bank 50 ft south of County Highway 3, 0.5 mi east of West Conesville, 1.2 mi upstream from mouth, and 2.2 mi southeast of Gilboa. PERIOD OF RECORD.--July 1986 to current year. GAGE.--Water-stage recorder and crest-stage gage. Datum of gage is 1,254.95 ft above NGVD of 1929 and 1,254.63 ft above NAVD of 1988. Prior to Oct. 1, 2011, at datum 1.00 ft higher. 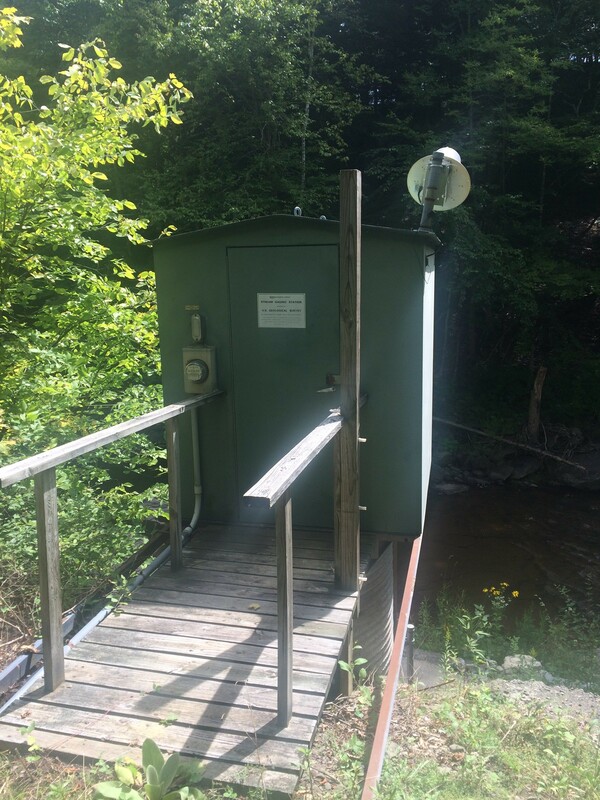 EXTREMES FOR PERIOD OF RECORD.--Maximum discharge, 6,590 ft³/s, Aug. 28, 2011, gage height, 12.92 ft, present datum, from rating curve extended above 1,600 ft³/s on basis of slope-area measurement at gage height 10.76 ft, present datum; minimum discharge, 1.0 ft³/s, Aug. 28, 29, 30, 31, Sept. 1, 2, 1993, Sept. 6, 7, 8, 1995; minimum gage height, 0.80 ft, Sept. 15, 16, 17, 18, 2016.